You may have noticed how certain phrases crop up a lot in anime, but do you know what they’re saying and do you know exactly what they mean? This post looks at these common phrases used in anime and explains their etymology, hopefully shedding some light on where they came from and their cultural relevance. These are some some the core phrases used in everyday Japanese language and therefore in anime. Understanding the meaning of the words being used can help you remember the words and spread light on aspects of Japanese culture that you might not be familiar with (such as using a phrase when you leave the house or when someone else leaves). These are phrases that really are used every single day so it’s important to know them. If there are any other phrases you’d like to know more about feel free to ask in the comments section below. The word for good morning uses はよう (早う) which is an old word meaning “early”. The お and ございます is very formal (keigo) grammar which means です, or “it is”. In other words おはようございます literally means “it’s early”. This word breaks down into “this” こん (今) “day” にち (日) “is” は. You may notice that the “wa” uses the particle は and not わ (although even Japanese people get this mixed up). 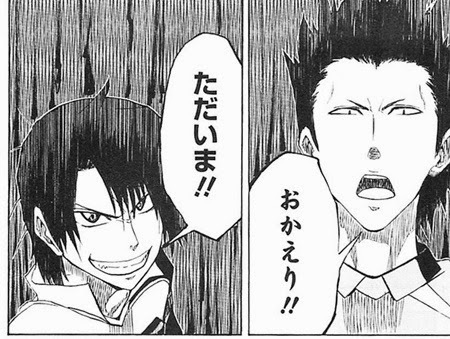 These two words are very, very informal greetings of “hello” or “what’s up” used a lot by boys in anime. オッス takes the お from the start and す from the end of おはようございます. There are some variants on these depending on accents and laziness such as ウイス. This phrase is very similar to こんにちは as it breaks down into “this” こん (今) “evening” ばん (晩) “is” は. And is once again possibly a shortened for of various greetings that were once used in Japanese. This word is made up of じゃま which means “hindrance” or “intrusion”. お is again formal Japanese (keigo) to make a noun polite, and します is the verb “to do”. You are literally saying “I’m intruding” but in a very polite way that implies “I’m sorry” or “excuse my intrusion into your home”. This is broken up into いく “to go” (in the te-form which makes it いって) and きます which means “to come”. This phrase literally means “I’m going and coming back!” It’s said when someone is leaving the house. When someone is leaving the house the normal reply said by people staying in the house is いってらっしゃい. Which is, once again, the te-form of “to go” いって and a shortened form of いっらしゃい, which is formal Japanese (keigo) for “to come/to go”. 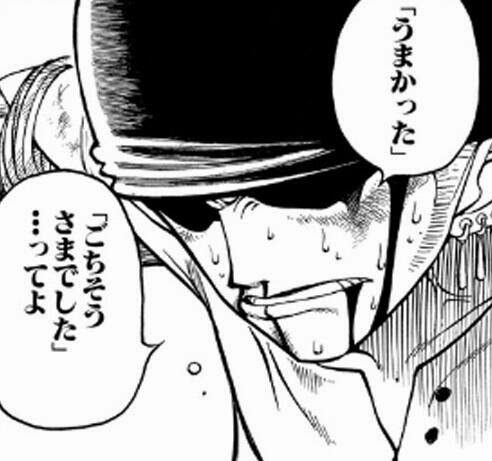 This phrase is basically repeating いってっきます but in a more formal form saying “you are going and coming back”. In anime these phrases are often translated to “I’m off” and “Have a nice day” which is what these phrases imply in Japanese. ただ means “only” or “just” and いま (今) means “now”, so “I’m only just here now” is said when someone returns after being out or away. It’s a way to signal to the people in the house that you’re home. This is a polite way of saying かえる which means “to return”, it basically translates to “you’ve returned”. Although it’s often translated to “Welcome home”. This is polite Japanese (keigo) for “to receive” and is said before you eat a meal. It basically means “I humbling receive [this food]”, although is often translated to “Let’s eat” or “bon appetit”. This phrase is broken down into ちそう (馳走) which means “feast” or “banquet”. さま (様) is normally recognised as a formal suffix on the end of people’s names when they are higher standing than you (i.e god is かみさま). But in this context it comes from さまざま (様々) which means “various”. Just like お, ご is used to make a noun more formal, and as でした is the past tense of です it turns the sentence into the past tense. Putting these together this phrase is a polite way of saying “I had a feast of various foods”, but is often translated into “Thank you for the meal”. さ “that”, よう meaning “like” or “similar to”, and なら which means “if”, literally means “If that’s the way it is”. It’s a polite way of saying goodbye but implies that you won’t be returning or seeing that person for a long time. This is a much more informal way of saying goodbye and literally means “well” じゃ, “later” or “again” まった and “then” or “isn’t it” ね. This is normally used among friends. だいじ means “important” “valuable” or “a serious matter”. お is used again to make it formal. に is a particle which would lead onto the rest of the sentence してください or “please do”, but the ending is dropped. It basically means “please do value yourself” or “please do take care of yourself”. Tagged Anime, Japanese greetings, Manga.